This is something I’m going to start doing on my blog. I decided to do this because even though I like to write I find it hard to post on my blog especially for business purposes. I’m always trying to figure what to actually write that will keep my customers and fellow colleagues intrigued with my jewelry, wit and personality. The conclusion being that I will post at least once a week. This way it can seem like I care a little bit about this blog, my business and the jewelry I try to create….yes I said try! I care a lot for my business. I LOVE MY BUSINESS! So for this past week I’ve been brainstorming new and different ways I can re-invent myself so that I don’t become stale. A lot of times I get into things on a whim. It’s not something I truly plan to do. But I was in Home Depot getting prices for a new craft show display that I want to make. And I passed the paint department. I love color so much that it’s a wonder that I even have a favorite color (blue btw). 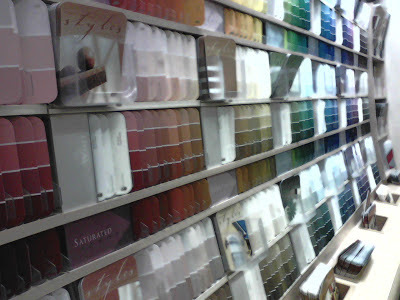 The display of the color palettes for paint has such great lighting that I couldn’t resist grabbing a few brochures. In looking through the brochures I began to think if I ever get stomped on a color combination all I have to do is look through the paint brochures. So now I’m going to create a color reference book with my newly found discoveries. Not only that Its a great way to come up with new names for pieces using the names given to the colors by the paint companies. For instance, I found pink colors such as, Sugared Pansy Pink, April Blush, Pink Punch, Candy Coated and Bridesmaid. I'm happy about my new reference book. I have also made up my mind to start selling at craft shows again. I started back in 2004/ 2005 but stopped and didn't do another show until Summer of 2008, when I was 9 weeks pregnant. After that experience its been history ever since. It's a bit overwhelming trying to figure where to start to get this thing rolling again. I have so many ideas and not sure if I can pull them off. I plan to do a lot of designing/ construction/ and carpentry myself. 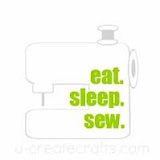 I will start off small doing a couple of craft shows at churches and such. Then I will build to bigger show throughout the year. Sometime during this weekend I'm going to post pictures of some of my first shows including the one I had at my home. I just have to go digging for the pictures. Hopefully, I make progress and post it here for all to see...you know hold myself countable. We shall see! I have new and very colorful items that I will add to my Etsy Store this week. As I was making these necklaces, bracelets and earrings I was in such a good mood. The colors are so bright and vibrant that it makes you smile just like a rainbow. 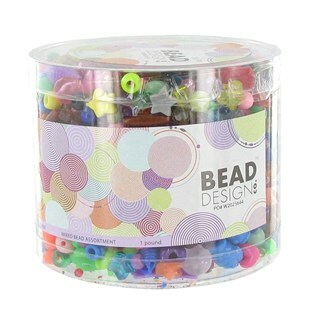 I bought a box of beads like the one listed below. I knew they were plastic beads but I just loved the colors and the unusual shaped beads. I came up with some cool creations that I will soon share. I want to thank you all for reading my blog post. Please join me on Facebook.